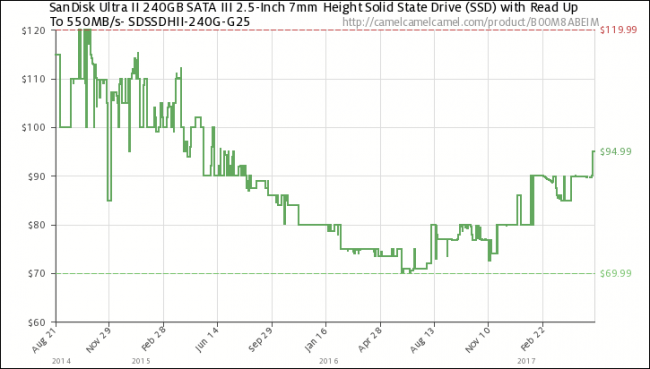 Solid state drives are the future! Actually, they’re the present. 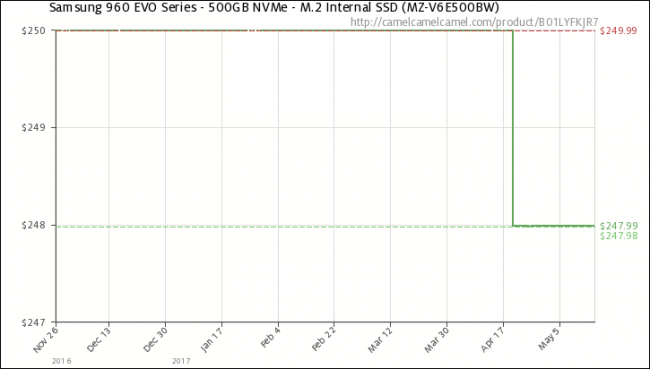 While SSDs were a luxury for computer buyers a few years ago, now they’re more or less standard unless you’re going super-cheap or storing multiple terabytes of data, where conventional hard drives still rule. But if you’re looking to update to a super-speedy flash storage drive, is right now a good time? Short answer: No, unless you can find a really good sale. 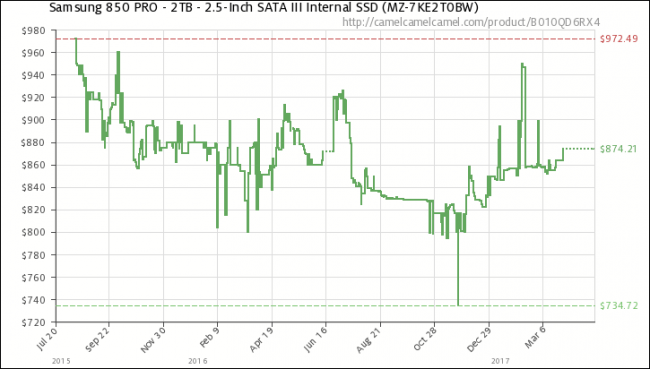 Despite an increase in industrial production, consumer-level SSDs have remained stagnant in price as of late, even going up in price for some models. With new and improved technology on the horizon, you’ll want to wait for a much better drive (or just a better deal on the older ones). You can see that despite a sizable drop of almost half its maximum price from 2014 to 2016, it’s now been steadily climbing in price for almost six months. M.2 SSD drives—long, compact alternatives plugged directly into the motherboard of a high-end laptop or desktop—don’t seem particularly fluid either. This Samsung model has only dropped a couple of dollars in half a year. 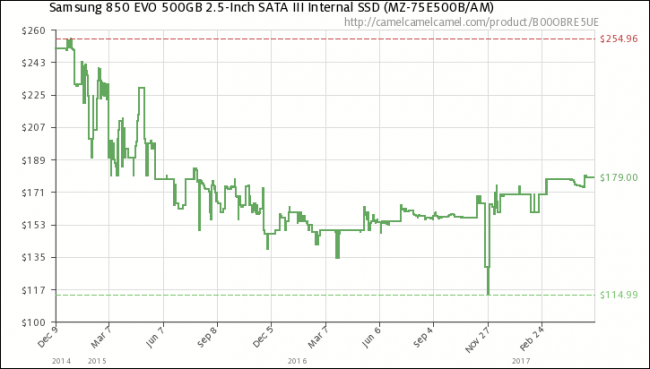 The consumer market for these drives at all levels isn’t improving as fast as it should. Unless you can find one on a significant sale, you’ll want to hold off on a purchase. Analysts of the hardware market say that while both consumers and PC manufacturers are eager to fill their machines with speedy solid state drives, the OEM suppliers of the actual flash storage are hitting roadblocks in their efforts to expand. 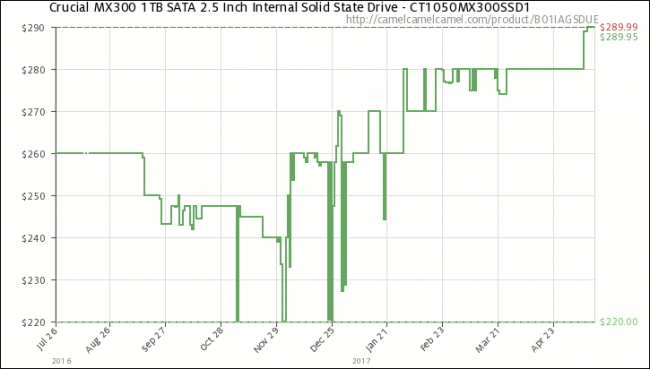 Prices are hovering around the same spots for the same drives, even going up slightly, as their various customers max out current production. Add to that another crunch factor: a shift from 2D NAND to 3D NAND. This more complex manufacturing process allows for denser flash modules, letting M.2 and 2.5-inch SATA drives cram in double or triple the storage capacity in the same physical space. But transitioning production to these new methods is yet another strain on the supply, while demand only increases. Simple economics would seem to indicate that we’re at least a year away, maybe more, from any significant price shifts. There’s a lot of industrial research going into the SSD market right now, a strategic move for manufacturers who see a huge potential for growth. The aforementioned 3D NAND transition means we’re seeing gigantic capacities in SSD drives, sometimes meeting even the best of hard drives, albeit at a huge price premium. And all that’s on top of general advancements in storage controllers and software components. We’re going to have to wait for the market to make prices on those more capacious drives drop, moving bigger capacities into the budget-focused models, which will take a while. Intel is also working on what it calls Optane storage, a new proprietary type of flash memory with dramatic increases in read time. At the moment it’s only being made available as a cache drive and an industrial server-level storage solution, and even then, it’s limited to the latest Kaby Lake processors and motherboards for support right now. There’s no indication of when these drives will be available in more conventional storage formats. 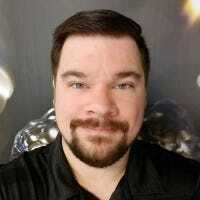 The long and the short of it is, whether you want more capacity, faster speeds, or just a better deal, you should probably hold off on a purchase for at least the next few months.